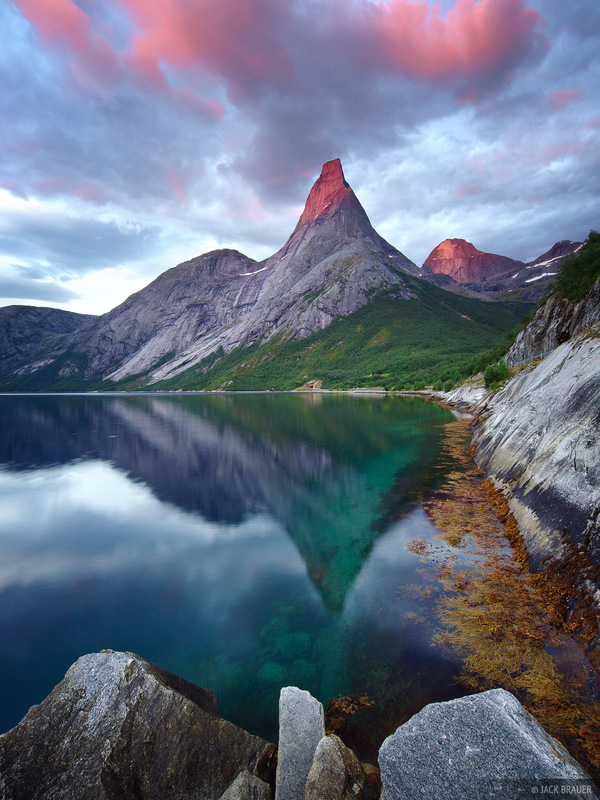 Stetind is a remarkable peak in Norway (Norway's "national mountain" in fact) rising abruptly 1392m (4564 ft.) above an arm of the Tysfjord southwest of the town of Narvik, in northern Norway. I was lucky to catch this nice sunset; I was camped out here for 3 days, and except for this brief sunset it rained pretty much the whole time. Photo © copyright by Jack Brauer.